CHRISTMAS TREE TRADITIONS AT OUR LOCAL FARMS. 1. If you don’t put up the tree right away, wrap the stump in a damp towel and leave it in a cool, but not freezing, place.2. 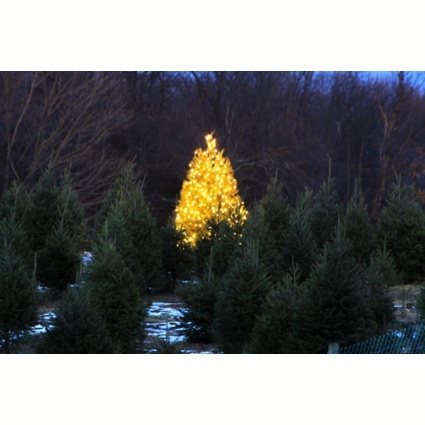 Before you bring in the tree, make a fresh cut on the bottom of the trunk to remove any dried sap. Get it into a stand right away, and water.5. While the tree is displayed, hide the tree bag with a tree skirt. Once you’ve chosen the perfect Christmas tree and brought it home, the next step is getting it to its designated spot in the house. A few preparatory measures can make this sometimes daunting job easier: To keep needles from dropping everywhere, wrap the tree in an old sheet as you carry it through the house; and avoid placing the tree near a source of heat or ventilation (which causes the needles to fall off and poses a fire hazard). 4. Using a plastic tree bag will make cleanup easier: Just pull the bag up over the tree to carry it outside after the holidays. 6. The tree and stand can be placed in a metal basin or a terra-cotta pot — just make sure the resulting setup isn’t top-heavy. Freshly cut trees absorb as much as a gallon of water a day. Check the stand daily, and make sure the bottom of the trunk is always immersed. Before decorating the tree, place a sheet on the floor to catch needles. Put up lights and garlands first, ornaments last.